You Can’t Serve the Lord! It was presumably sometime shortly before his death at 110 that Joshua called the people of Israel around him to hear his final sermon. It contains that familiar call: “choose this day whom you will serve … But as for me and my house, we will serve the LORD” (Joshua 24:15). But it also reveals a confusing and perhaps disconcerting strategy. Obviously, Joshua called the people to make a choice, a choice to serve the Lord (v.15). To this the people responded with a promise to serve the Lord (vv.16-18). But Joshua was not satisfied. He told them they were incapable of truly following the Lord (vv.19-20)! The people—a bit taken aback—cried out that they were serious! They would indeed follow the Lord (v.21). In the face of their insistence Joshua redoubled his call and demanded that they choose to serve the Lord (vv.22-24). So why the hard sell, Joshua? Why did he respond to the people’s pledge this way? 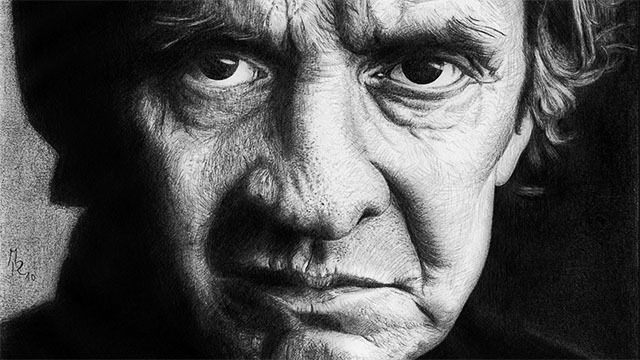 As I was contemplating this possible motive behind Joshua’s final and somewhat strange sermon-strategy a Johnny Cash song came to my mind. I think we can hear then in Joshua’s call to Israel our Savior’s call to us as He marched toward the cross: “Whoever does not bear his own cross and come after me cannot be my disciple. For which of you, desiring to build a tower, does not first sit down and count the cost, whether he has enough to complete it? Otherwise, when he has laid a foundation and is not able to finish, all who see it begin to mock him, saying, ‘This man began to build and was not able to finish’” (Luke 14:27-30). Consider carefully the cost. Don’t play religious games. Make your decision. Follow hard after Christ! 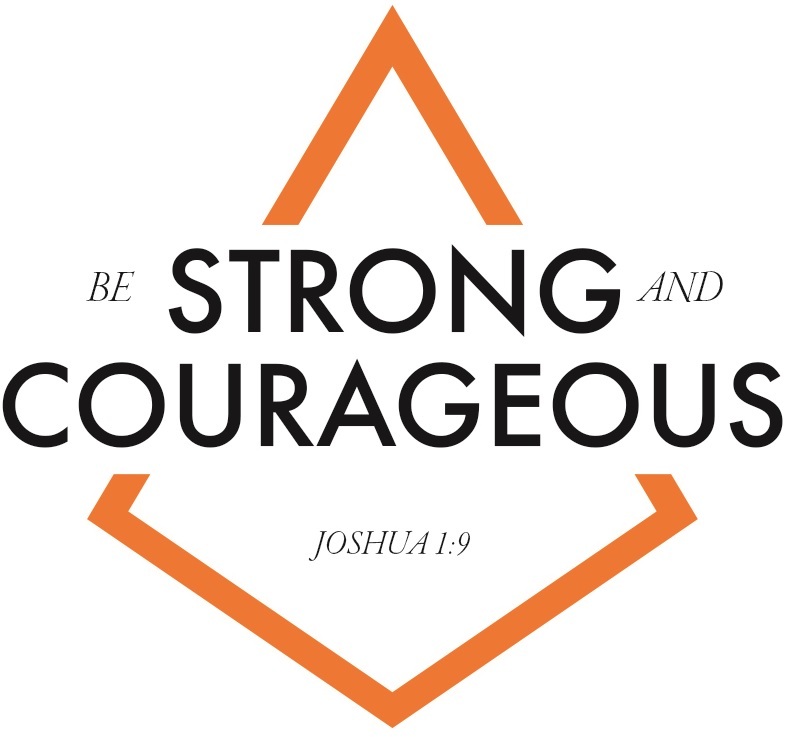 Four times in Joshua chapter one Joshua is told, “Be strong and courageous” (1:6, 7, 9, 18). This follows up on his being told this twice previously (Deut. 31:7, 23). Joshua was given this command directly by God Himself (Deut. 31:23; Josh. 1:6, 7), by Moses (Deut. 31:7), and by the people he was to lead (Josh. 1:18). Not only was the leader, Joshua, given this command, the people themselves were as well (Deut. 31:6). 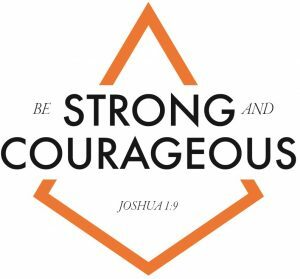 Both leader and people are commanded by God to “Be strong and courageous.” This command would continue to be echoed down through his leadership of these people (Josh. 10:25) and at critical times in the life of the nation after them (1 Chron. 22:13; 28:20; 2 Chron. 32:7). This same command comes down us today and with the same weight of divine demand behind it. 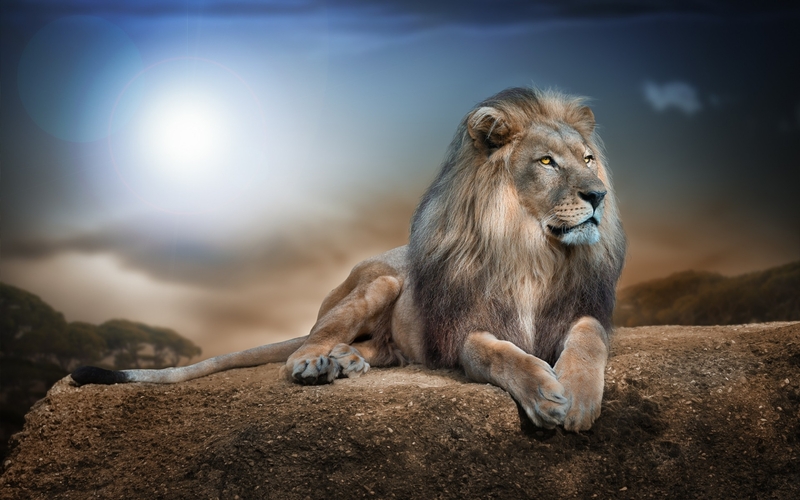 What does it mean for us to “Be strong and courageous”? On the face of it the command “Be strong” is not only not encouraging, but almost a mocking, taunting, demeaning imperative. What is required of us is more than is within us. The challenges that stand before us are bigger than what we can gather up from within ourselves. In the face of challenges so daunting and a personal condition so depraved, the command to “Be strong” is not only futile, but mean-spirited … unless, of course the command is accompanied by a promise. And in this case, that is exactly what we have. Accompanying this command is the thrice-given promise of God’s abiding presence (Joshua 1:5, 9, 17). Thus, to live out the command to “Be strong” is to live out of an alien power. We must come into the experience of something more than what we can reach down and do with additional effort. In New Testament terms this means living in the fullness of the Holy Spirit’s personal presence and power. We are not left the option of assessing our options and choosing our way based upon what is within us or what we are able to do by the power of redoubled efforts. We are to “Be strong in the Lord and in the strength of his might” (Eph. 6:10). If we rely upon our own ingenuity, our own wisdom, our own strength, we will achieve only what is humanly possible. But if we truly come into a fresh experience of the infilling of God’s Spirit, there won’t be enough time to tell the stories of what He will do through us. Similarly, to be commanded “Be … courageous” is, without divine enablement, a mocking of our naturally fearful state. By itself it amounts to little more than whistling in the dark. But with the promise of His presence and the provision of His Holy Spirit, being courageous is simply living out an alien purpose. No longer are we able to make our choices out of fear, comfort or passivity. Timidity, discomfort and a shrinking spirit must give way—not to something from within ourselves, not from some dredged up daring, but from the knowledge that we have been given a divine task and resourced with divine presence and power … and so we simply step forward, confronting fear, comfort, passivity, timidity and that shrinking spirit and simply do what God calls us to do. We are “strong and courageous” as we intentionally view our lives (and the circumstances and people and relationship that fill them) as under a purpose that is not dredged up from within us, but which is laid down upon us from above … and when we choose to live for that purpose (rather than our own desires/wishes/whims) by the strength of God’s indwelling presence within us. So hear it from God. Hear it from me. Hear it from one another. Hear it again and again and again, until it becomes the drumbeat by which you march through life: “Be strong and courageous”! April 3, 2014 / admin / Comments Off on I’m Right Behind You! “… he wholly followed the LORD, the God of Israel.” (v.14b). This is a three-fold witness: first there is the testimony of Caleb himself (v.8b), then the testimony of Moses (v.9b), and finally the testimony of the writer of Joshua (v.14b). Let everything be confirmed by two or three witnesses (Numb. 35:30; Deut. 17:6; 19:15)! The expression “wholly followed” renders a two word combination in the Hebrew: the verb “to fill” and the preposition “behind/after.” Literally the phrase is “filled behind Yahweh.” The verb is in the Piel form, indicating intensive action: “utterly filled” (or, as per ESV, “wholly” filled). And the personal pronoun (“I”) is emphatic—as in contrast to “my brothers who went up with me [and] made the heart of the people melt” (v.8a). Caleb himself filled up behind the Lord as soon as it was clear where the Lord was headed and what He was doing. Whatever the will of God required, whatever the need of the hour was, whatever the advance of God’s mission necessitated—Caleb filled in immediately behind the Lord with his faith-filled availability and obedience. The space immediately behind God (if one can even speak in such terms!) as He moved forward in His plan was immediately filled up with Caleb—willing, ready, eager, obedient, willing to risk anything to be first in line after the Lord. Caleb is the picture of an eagerly, energetically, enthusiastically obedient servant of God. His life was marked by an urgency in all matters of obedience. He was this way when he went with Joshua and ten other spies on a recognizance mission into the Promised Land a generation before (Numb. 13-14). He was this way forty-five years later as he followed after Joshua’s leadership in taking the Promised Land (Josh. 14:10-11). I’m reminded that sometimes a Caleb—with all his eagerness, energy, and enthusiasm—is forced to endure a desert of someone else’s making. What were those four decades in the wilderness like for Caleb? Torture, no doubt! Imagine Caleb as he watched all the adults of his generation (except Joshua and himself) fall one by one over the years. Imagine those latter years as the remaining souls of that generation thinned and grew few in number. What conversations did Caleb have with them or they with him? How did he pray for them? What strange cocktail of emotions surged through him as he attended their funerals? When the last one passed and the final “amen” was intoned at his funeral and the potato salad was finally gone at the meal after the services—did Caleb jump up and yell, “OK already! Let’s go! Let’s get on with it! Let’s go take the Promised Land!”? I have to ask myself: Have I been a Caleb? Am I a Caleb today? Or have I been a willing, but reticent follower of God? Have I been hesitant, doubting, reserved, lethargic, slothful, even lazy with regard to the mission and will of God? Lord God, please forgive me for too often being hesitant, reserved, doubting and lethargic in following you and obeying your voice. I ask you to enable me to eagerly, faithfully, energetically fill full whatever your will requires. Give me the energy, desire and faith to so follow you. In Jesus’ Name, amen!